For today's Safer Internet Day Google is promoting a "safer and more responsible use of online technology and mobile phones" by giving you a 2 GB Google Drive bonus for checking your security settings. To be eligible for the bonus, go to this page to verify your current account settings to make sure they are up to date. Although the three simple steps only take a few seconds to review, the storage bonus, unfortunately, does not get applied until around February 28th. Whether or not you actually use their cloud storage service is still up to you (I'm currently using 0 GB of 115 GB) - but keeping an eye on your Google account logins (including any connected Android or iOS devices) is probably a good idea regardless. On this day, one year ago, I registered the Pipedot domain name and threw up an ugly static webpage. Today, the site is a little less ugly and a lot less static. Although the original goal of creating a non-profit alternative to Slashdot has long since been obtained, I've continued the development of the code base and periodically add new features to scratch my own itch. So my question now becomes: What's next? What other features would you like to see implemented over the next year to make this site even better than it is today? Although I wouldn't trust the content of your non-PGP email to ever be secure, this could potentially lead to your email account password being transmitted in-the-clear, depending on how your email client and server are configured. 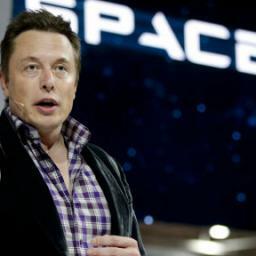 Elon Musk announced that SpaceX is looking to launch a 700 micro-satellite constellation to bring global Internet access across the world. Each satellite will weigh less than 250 pounds and use radio spectrum allocated to WorldVu Satellites, Ltd. Although still in the planning stages, SpaceX may end up helping in the construction and launch of the largest fleet of satellites yet. Today, nearly all movie theaters have converted their projectors to fully digital systems. Although movie theater 4K (4096 x 2160) is a little higher resolution than consumer TV 4K (3840 x 2160) - and definitely an improvement over standard HD (1920 x 1080) - nothing can match the resolution and shear awesomeness of 70mm IMAX film projection. 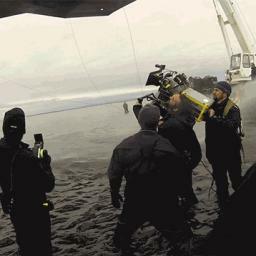 Christopher Nolan is one of the last true film holdouts and with his new movie Interstellar, is pushing for the full "film only" versions to be shown across IMAX theaters. Bottom line: this is one movie you probably want to see in the theater. Otherwise you won't get to see its true glory until 30 years from now when the industry starts selling 32K resolution digital TVs. Zalman has filed for bankruptcy. Zalman was one of the pioneers of low-noise cooling solutions, in an era when stock coolers were noisy enough to drive people insane. Unfortunately for us all, on November 3, 2014 the company filed a bankruptcy protection request in the Seoul Central District Court. 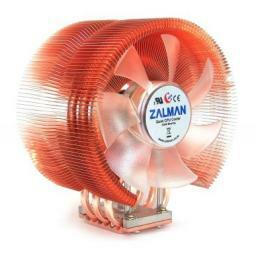 Zalman did not fall victim to recession, competition or even bad corporate management. The whole story is long, complicated, obscure and yet unconfirmed, so unfortunately we may never learn all the details of it. To summarize, Zalman apparently was part of an allegedly very well designed and planned multi-billion dollar corporate fraud. As an owner of quite a number of their copper CPU blossoms, I hope that they can pull through and distance themselves from their troubled parent corporation. A lot of new tablet models are being announced this week as both Google and Apple update their lineup for the upcoming holiday season. Google's new tablets include the Nexus 6 and the Nexus 9, while Apple's new tablets include the iPad Air 2 and the iPad Mini 3. Interestingly, the smaller Nexus 6 has a higher resolution screen and overall better specs than its larger cousin. 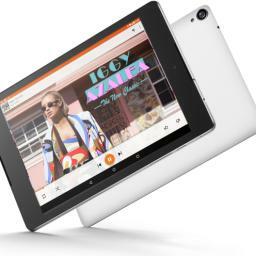 Whether anyone wants to pay $650 for a 6" tablet phone is another matter. 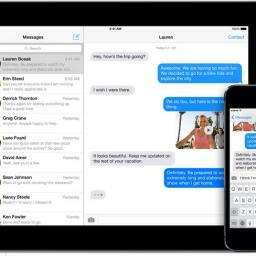 A Vietnamese site has leaked more images of the updated Apple tablets ahead of the official launch.